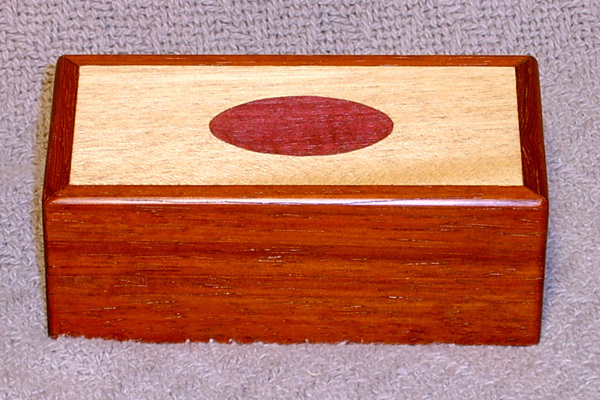 This box is made from Padauk with a Yellowheart top and bottom. The inlay on the top is Purpleheart. The pictures do not do justice to the beautiful yellow and purple colors. They are much more vibrant in real life.The dimensions are 4.75 x 2.5 x 1.875" tall. It is finished with multiple coats of drying oil, and buffed with a coat of Canuba wax. 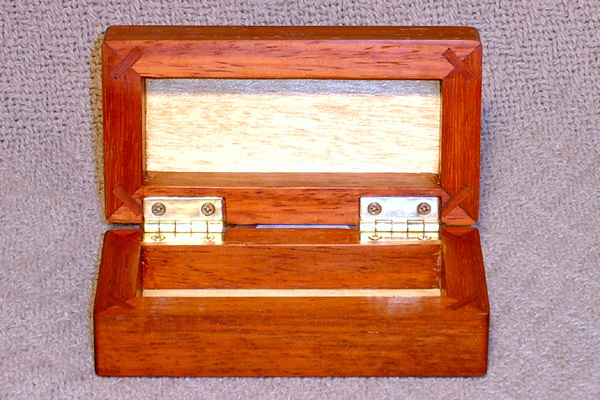 Hinges are standard and box opens to 180*. This box is more of an art piece than anything else.